Meatless Monday: Esther the Wonder Pig! | (m)EAT LESS, RUN MORE! 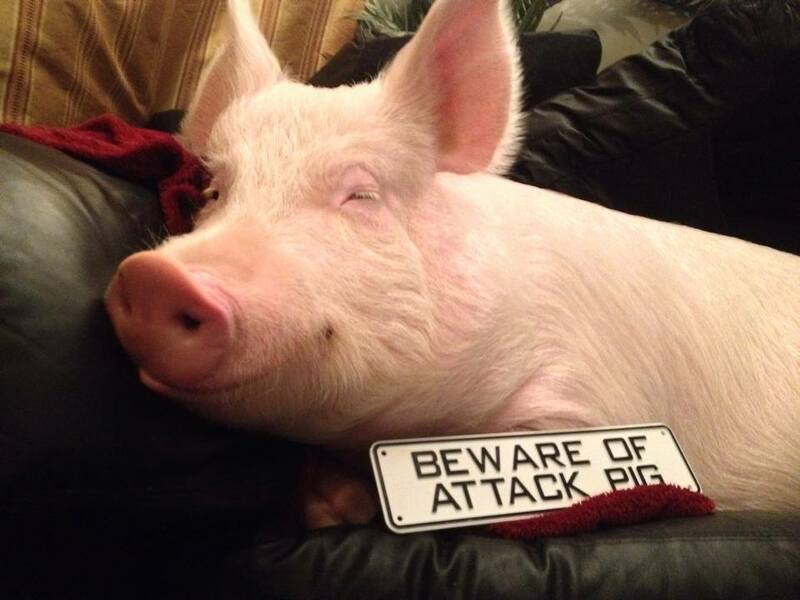 HomeMeatless Monday: Esther the Wonder Pig! Has anyone not met Esther yet?! Esther took Facebook by storm! Since starting the page only about a month ago, Esther has over 20,000 likes! She also has a web site, a YouTube channel, and a twitter account (see other links from the web site)! She was adopted under the assumption that she was a “micro” pig, but now at over 300 pounds she has taken over the house the hearts of everyone that sees/meets her! Her owners are just the most amazing guys ever, and you really just need to check her (and them!) out for yourself. It’s stories like Esther’s that truly encompass what #MeatlessMonday means to me.